Before reading any further, you have to ask yourself one question. Am I committed to staying authentic, or am I willing to do whatever it takes, even if it’s ethically questionable, to succeed on YouTube? Do one Google search for “how to get free subscribers on YouTube” and you’ll find a plethora of “experts” offering quick fixes or shortcuts. When it comes to YouTube, doing whatever it takes is actually not how to get free subscribers. No, to make it on YouTube, you’ll need to be authentic, have a solid work ethic, and be as insanely creative as possible. Let’s just jump right into it. Here are some actionable steps you can take right now to increase the likelihood of earning more YouTube subscribers. A lot of people don’t like the idea of promoting themselves. But you can’t succeed without it. Gianni Nicassio of the band Walk Off The Earth, who currently has over 2.9 million YouTube subscribers, says you must focus on promotion. He says you should start with the people you know, your connections on social media. Your Instagram followers, your Twitter and Facebook friends, your real friends, and your family. Ask them to share your videos on their social media profiles. Comment on related videos with a link to yours. At this point, you should know what your YouTube channel is all about. If you don’t, then you should stop reading, figure out your focus, and come back here when you have. Okay, so once you have the focus of your channel, you’ll need to create a content calendar — what your videos will cover and when you’ll publish them. YouTube’s algorithm loves consistency and high frequency of published videos, so one simple rule you should follow is to post one video per week. And posting on a regular basis keeps your viewers (and hopefully subscribers) engaged with your channel. If your channel goes dark for a few months, people will stop paying attention to you and maybe even unsubscribe. Treat your YouTube channel like a TV show. A new episode should air on a specific day each week so people know when to look for another video. You can follow every suggestion in this article, but if you’re not great, you will fail. You can promote your channel all you want, you can be diligent in following your content schedule, and you can even have a clear focus. But if your content is not of the highest quality, you will not succeed on YouTube. Videos and channels that have higher watch times are much more likely to show up in search results and recommended videos. YouTube sees that people like a certain video, so they show that to more people. YouTube is clear on their stance with this. And the best way to get higher watch times and more eyeballs on your videos is to create engaging and/or useful content. Making videos that are both entertaining and informative is the secret sauce. If you can do that, people will eat up your videos. Most of your videos should be evergreen content, meaning they’re entertaining and informative no matter when a person watches one. This is where authenticity comes in. If you’re making videos that you think will get a lot of views but you don’t enjoy it, either you’ll burn out quickly or viewers will see right through you. Just be real and have fun. Part of being great is not just being a great entertainer and informer, but being a great editor. So give yourself plenty of time to edit your videos — factor it into your content calendar. And think about the editing process while you’re shooting the video. Film multiple angles. Do a bunch of takes. Use different phrasing in these different shots. You can sift through them during the editing process and choose the best ones. You can add a factor of engagement and excitement in the editing stage by editing your shots down into quick bites of video. For some reason, lots of short snippets mashed together create extra excitement. The title of your video is one of the most important factors in getting people to click. Search engines find it by the title and people click based on the title, meaning you’ll get more traffic to your videos. One YouTuber named Graham Cochrane, who has nearly 400,000 subscribers, suggests a helpful method for coming up with video titles. Meta tags for a video are keywords to blog posts. They are what help people find you. One tool you should use is the Google Keyword Planner, which helps you brainstorm keywords for your video. This will increase the likelihood that Google and YouTube will rank your content higher. But be careful — adding too many keywords can actually hurt. Rather, you should research relevant keywords and only use those. Maybe your video’s low view count is not due to content. Maybe you need to focus more on the meta tags. If we stick with the video-to-blog comparison, you can think of thumbnails as equivalent to a blog headline. The thumbnail is actually the first thing a person sees of your video, and it plays a huge role in whether or not they’ll click play. Instead of choosing from YouTube’s generated thumbnails, create a more interesting custom thumbnail. And do this for every single video. The best performing thumbnails on YouTube have an intriguing photo along with a few words explaining what the video is about (or simply the video title). People have short attention spans. They need value right away for them to stick around for the rest of the video. That’s why the intro is crucial. You need to engage the viewer right off the bat. Let’s let Nicassio chime in again. He says to avoid small talk. Just get to the point. Annotations are the little text boxes that pop up on the screen during a video. And you’ll want to use them. If you do it correctly, you can get people to actually subscribe rather than getting annoyed and leaving your channel. The prime example is adding a “Subscribe” annotation, but you can also add links to your social media profiles, like Twitter and Instagram. Just make sure you do this in a non-obtrusive way. Don’t let it get in the way of the actual video content. So if you can use annotations to subtly encourage people to subscribe without distracting them from the video, you’ll probably see your subscriber count grow. People will tell you that your video should be between “this” and “that” length of time or that it shouldn’t be any longer than a certain amount of time. Don’t listen to those people. It all comes down to your content and your audience. The recommended length of time is not the same across the board — it’s specific to what your viewers want. 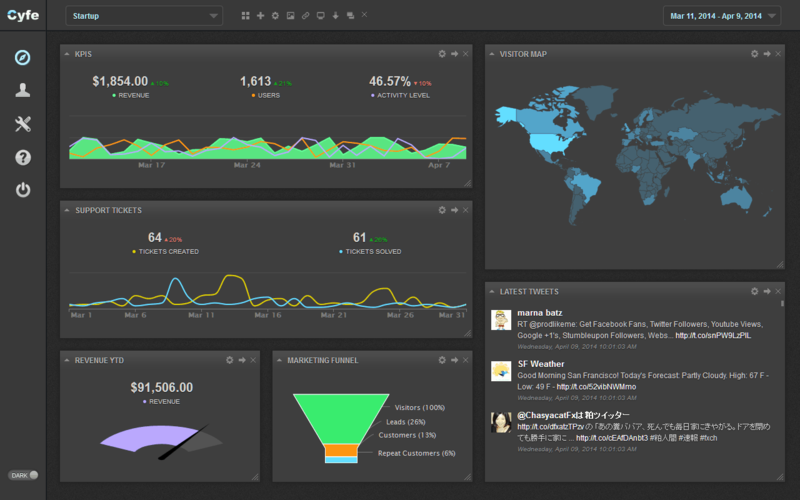 This is why keeping track of your stats and analytics is so important. See what length of time people engage with more. Heck, if you make 20-minute videos that are captivating the whole way through, then make 20-minute videos. On the other hand, if you’re making long videos and you see people check out after a couple minutes, maybe consider shortening your videos (or finding a way to be more engaging for the entire video). And there may not be an obvious correlation between video length and engagement, at least with your audience. Maybe people watch your content regardless of the duration. This goes for the “best upload time” myth too. Your upload time may be Tuesdays and Thursdays at 9 p.m., while your neighboring YouTuber might find it’s best to upload their videos on Sundays and Wednesdays at 11 a.m. Know when your audience is on YouTube and post accordingly. Also, once someone says, “This is the best time to upload your videos,” everyone follows that rule, making that upload time no longer any good. And your upload time may change as your subscribers’ habits change. Your upload time may be 9 p.m. right now, but be a totally different time in six months. The point is, don’t listen to YouTube experts when they say your videos have to be a certain length or be posted at a certain time. Do what’s best for you and your followers and you’ll slowly grow your channel. So after you’ve gotten people to watch your video, hopefully they’ll want more. The next thing they’re going to do is visit your channel. And what they see could have a big effect on whether or not they subscribe. Keep in mind, you’re trying to brand yourself. Let your channel match that brand. Be professional. Be authentic. For the same reasons that you should customize your channel, you should create playlists. People will visit your channel to check out your other videos, so if you have playlists curated to what they may like, that will help build a loyal following. Playlists make your videos more consumable by being relevant, organized, and engaging. Plus, it boosts your overall watch time, which helps you do better with YouTube’s algorithm. New viewers: what videos should a first-time visitor see? How do you want to introduce yourself? Doers: these people are looking for videos to help them get stuff done. This would include educational and informational content, like learning a skill, growing a business, or how to succeed at a craft. Niche-focused viewers: making a playlist that covers a specific topic — a niche — will help you connect with super fans, also known as binge watchers. For a community to accept you, you have to be embedded within it. You can’t act like you’re “above” everybody else and then expect users to engage with your content. And there are two big ways you can become ingrained in the YouTube community: collaborating and commenting. Collabing with other users on the platform is a fantastic way to gain subscribers. It’s a win-win — you both get exposure to an audience that may not have heard of you before. Plus, it could potentially provide twice the value to the viewer. You and the other YouTuber can learn from each other. Putting your heads together can lead to a much better video. So reach out to other YouTubers that are at a similar level of experience. Find others who have a similar number of subscribers and video views. I’m a big fan and subscriber of your YouTube Channel. I really like the [SPECIFIC VIDEO] you did about [TOPIC]. I loved the part about [THE PART] — [REASON WHY YOU LIKED IT]. I’m also a YouTuber making similar videos. And I was wondering if you’d want to collaborate on a video, maybe about [SPECIFIC TOPIC]. I have [NUMBER] of subscribers and usually get about [NUMBER] views per video. Would you want to grab coffee or schedule a Skype call to talk about it? If you don’t engage with other people’s videos, they probably won’t engage with yours. And if you don’t talk with your fan base in the comment section of your own videos, how can you expect to have a loyal following? Once people start commenting on your videos, that’s when you know you’re doing something right. Don’t miss out on that opportunity to engage — reply to viewers’ comments, or at least like those that don’t require a response. Do this and your viewers will feel more connected to you. They will feel you care about them. Care and connection lead to subscriptions and fans. Also, take note of what people like and don’t like, then adjust your future videos as such. But make sure you’re listening mostly to your super fans — they’re the one that are with you for the long-haul. I know, this one is sort of out of left field, but you can use Amazon in a similar way as you would commenting on others’ YouTube videos. If you review products or just want to link to items on Amazon because you’re an Amazon affiliate, you can leave reviews of products you’ve used or own on Amazon listings. In the review, mention your YouTube channel and let people know you reviewed the product more in-depth. Obviously, you don’t have to be an affiliate for this method to be successful. You can do this on other sites, like eBay or elsewhere that might be specific to your niche. 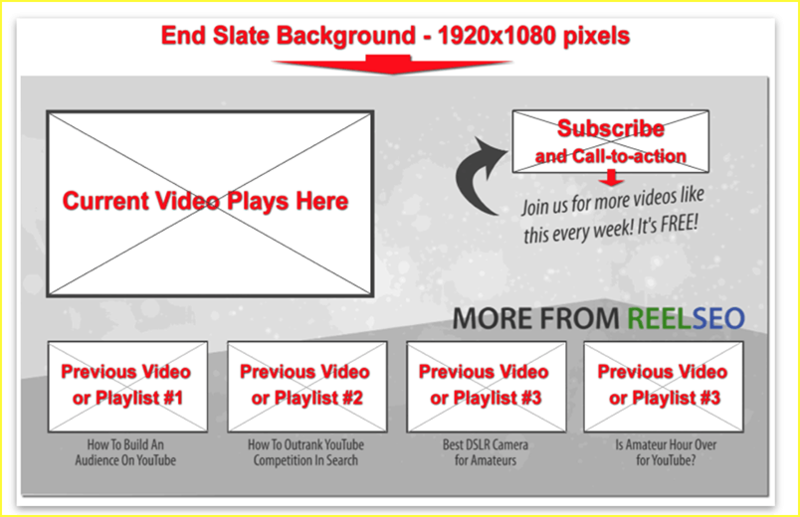 This is an uncommon but powerful way to promote your YouTube channel. If you really want to expand your boundaries, start thinking about the users whose first language is not English. You can cater to them while not affecting your native English speakers. But first, you need to know if you even have foreign language speakers. You can use YouTube’s analytics to see where visitors are located. If, for example, you have a lot of traffic coming from Mexico, you may want to offer a Spanish translation. As far as getting those translations, you can either pay YouTube to do this, or find someone who can do it for you and upload your own translations. Some people use Google Translate (which is free), but that’s been known to not be 100% correct all the time (which can lead to a disaster). Giving your videos transcriptions, or subtitles, is not only great for those who are deaf or hard of hearing, but it’s a great friend to the search engine. With subtitles, search engines can better understand what your video is all about, and this increases your chances of people finding your video. You can have YouTube transcribe your videos, but it may be better to manually transcribe them (or hire someone to) so you can make sure you get every word right. YouTube’s auto-transcriber is not always correct. People love free stuff. That’s just a fact. So if you hold giveaways, that will attract people to your channel. If you offer entries into a giveaway in exchange for viewers subscribing, that can really grow your followers. But keep in mind, you need to make sure you keep those subscribers. That’s why engagement is so important. And it’s best to give away items that correspond with your niche. So if you’re running a yoga channel and you give away a gift card to Jiffy Lube, that won’t interest your viewers so much. Those two things just don’t correlate or make sense together. If you want to really do well on YouTube, you’ll need some tools. So here are just five tools that can help you garner more subscribers. We talked about keyword research and a little bit about Google’s tool for this. But you should also check out the Bulk Suggest Tool by Internet Marketing Ninjas. 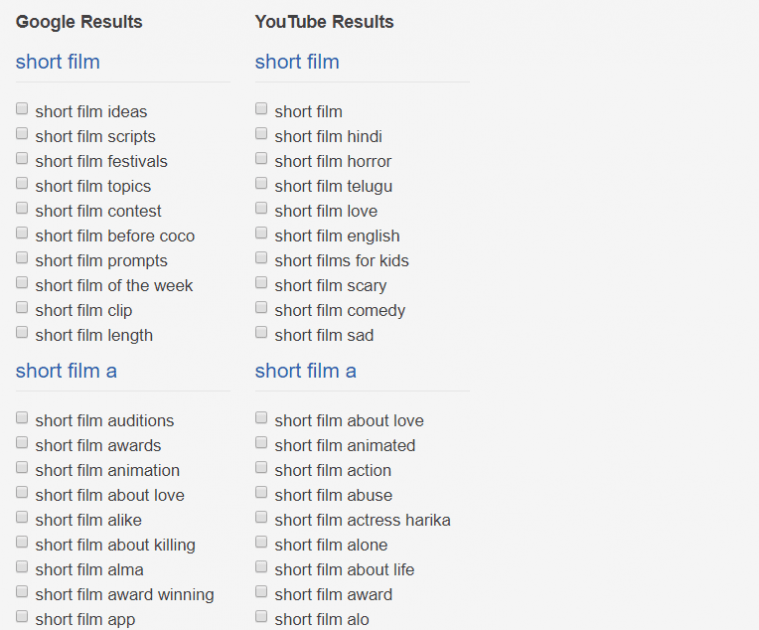 It will search the Google and YouTube auto-complete databases to help you find additional keywords for your video. As you can see, it lets you compare the search terms from Google and YouTube and see what people actually want. BirdSong Analytics’ tool helps you analyze fellow users’ channels (in the same genre as you) so you can see what’s working and what’s not. This can really help you tailor your own videos for success. Plus, you can download a spreadsheet showing other YouTubers’ video titles, descriptions, upload dates/times, video length, number of likes, comments, and views. All nicely packaged in one document. I already mentioned this tool, but it’s worth mentioning again. You can sign up for a free account and make beautiful looking designs for any context, whether it’s a Twitter post or a YouTube channel header or thumbnail. 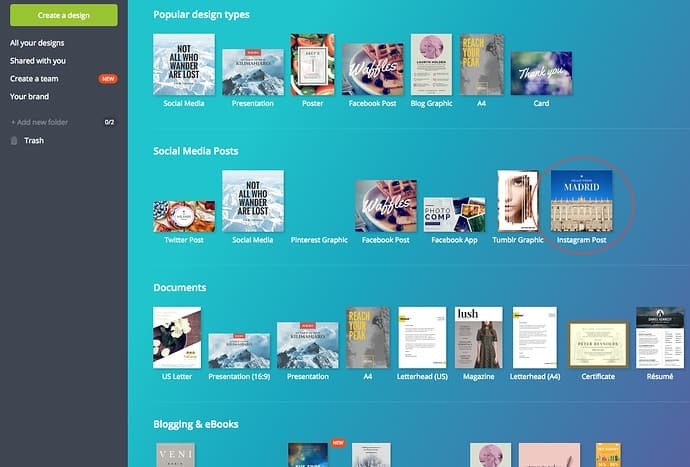 And any design you create is saved in your Canva account, which is super convenient in case you need to download it later. An end card is a thing that shows up at the very end of your video with clickable sections and previews of your other videos. End cards make subscribing simple and allow viewers to easily find your related videos. ReelSEO put together a free template for your end cards in a PSD file, which you can customize it to your liking. With Cyfe, you can easily monitor how your channel is progressing and see how specific videos are performing. This can be a very useful tool in addition to the stats YouTube provides. No matter how helpful these tools are or how inspiring you find these tips, you will not succeed if you don’t commit yourself. This guide is by no means a “magic potion” to YouTube success. I hate to break it to you, but that doesn’t exist. Your success is up to you. You can’t blame your tools, they’re only as good as the person using them. So follow these tips and use these tools. But the most important thing is to stay focused and keep your drive alive. And have fun! I started my channel last month, this content are helping me a lot…Thanks for sharing! Absolutely I agree with your suggestion that you need to promote your YouTube channel like anything and that’s the only way you can reach out to massive audience will later become your fans and subscribers if your content is good enough. You can start commenting on other YouTube channel videos which are highly relevant to your industry or the video content that you share. Just make sure to leave witty and thoughtful comments which tend to get more likes for the comments so more and more people will see your channel. Also taking helping from your friends by asking them to share your YouTube videos or channel is one of the most easiest ways to get the initial viewers and subscribers. 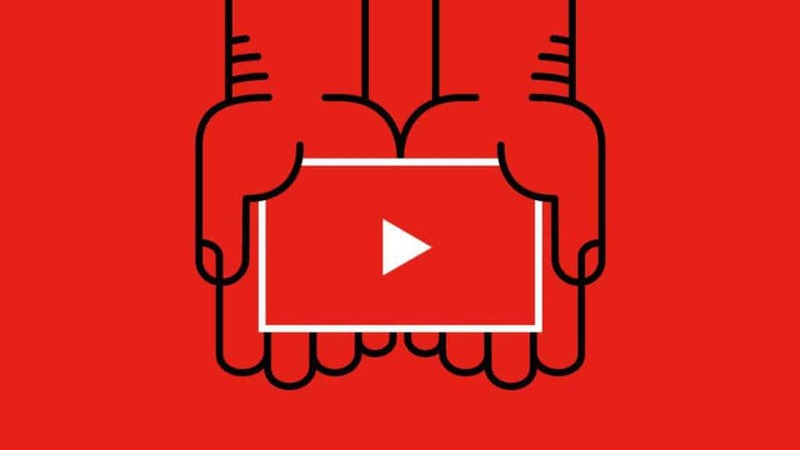 Just make sure to focus on creating informative and engaging videos so that you can organically increase your reach and get more YouTube subscribers with ease. totally agree with your all points. The best one is consistent with your niche, stick to it. Thanks for sharing.